DURHAM, N.C. (WTVD) -- One couple didn't let now Tropical Depression Florence rain on their parade -- or rather their wedding day! 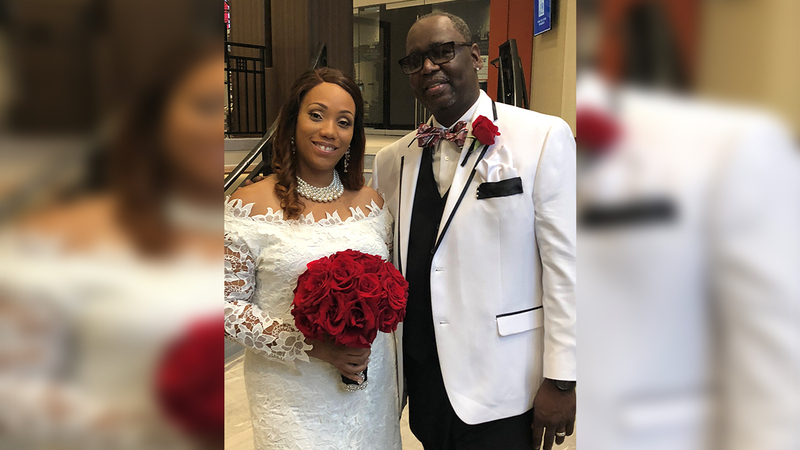 Antonio and Denise Barnes decided they weren't going to let Florence stop them from tying the knot this weekend. The couple was married Saturday at the Durham Armory and had their reception at the Marriott across the street. They say rain on your wedding day is good luck. If that's true, with all of this rain Florence has dropped, we believe this couple many years of bliss.